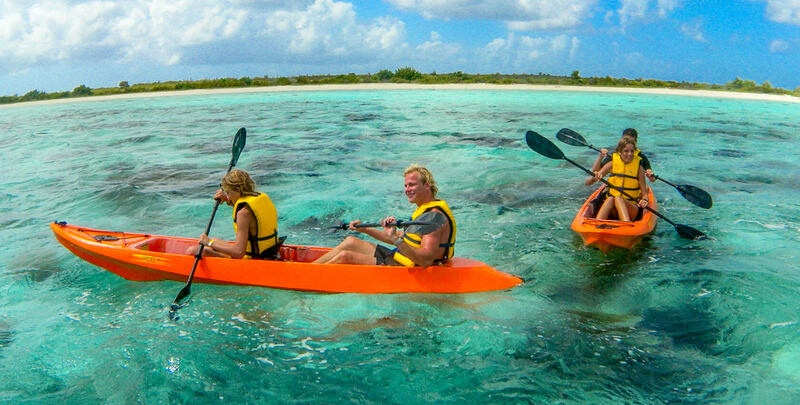 The calm waters surrounding much of Bonaire makes kayaking a relaxing way to enjoy the beauty of the island. On the windward side, kayaks are available to explore Lac Bay, a lagoon, which is a nursery for fish life. The mangroves also create a wonderful set of tunnels in which to see beautiful wildlife. On the leeward side of the island, several dive shops rent kayaks as means to peacefully view the coast or to visit the small island of Klein Bonaire.